Greetings! Your friendly neighborhood Grim here, handing down news nuggets and quick quips from the last few days of Halo happenings. 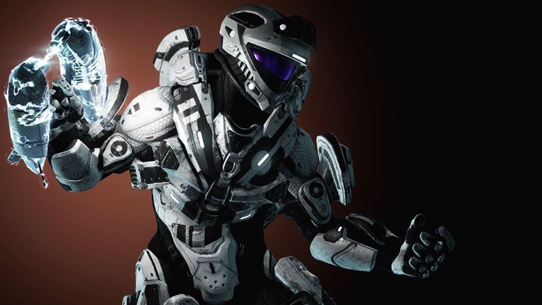 We’ve got some cool stuff to cover in this week's Halo Community Update, so read on! The latest and Gruntest DLC content for Halo Wars 2 is nigh upon us – Yapyap THE DESTROYER. And yes, we’re contractually obligated to write his name like that. YTD, as he’s sometimes known (no one ever calls him that), brings with him a host of unbelievable Unggoy awesomeness, including a primary Grunt squad unit called Cannon Fodder, which is totally, completely a serendipitous naming coincidence. Obviously. At the moment, this gregarious Grunt is being a DLC diva about propagating punctually, but we're told that top ONI operatives are on the task of pushing his oversized methane tank through the tubes and onto your hard drives as we speak. While you wait for Yapyap to go livelive, feel free to check out the sneaky guerilla preview ske7ch and I did of all the new units and abilities this latest DLC will bring to bear. Watch it (while it lasts) on VOD HERE. Play-to-Win – We’ve added a new 1v1 Open Blitz Hopper (unranked)! In this playlist, all cards are locked into Level 6, regardless of what your card level is (you still have to own the card to play it). Starting armies retain their level 1 values. These completely removes the fear that folks might have of getting trounced by a player with significantly higher-level cards than themselves. If you haven’t tried out Halo Wars 2’s Blitz mode in part due to this concern, I highly recommend you jump in and give this a shot! I’m rich, Blitz! – We’ve also added a second Blitz pack reward for all challenges, giving you double the goodies for your dedicated challenge-beating. NOTE – the UI prompt for earning a pack will only register once, but two packs will show in inventory. If you get complaints about people not getting two packs, they should check inventory before and after completing the challenge. The Yap Behind the Yap – 343’s very own Unggoy extraordinaire, Nick Ardizzone, lent his methane-massaged pipes to bring Yapyap to life in all his Grunty glory. We talked to Nick back in Issue 80 of Canon Fodder about his completely normal and healthy obsession with Halo’s food-nippling fiends, and we believe that his recent role as Yapyap’s yap is simply the next logical step in his evolutionary journey. 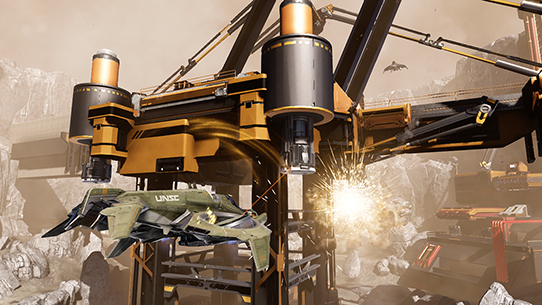 Last week, 343’s handsome herald of community concerns – ske7ch, obviously – paid our humble pages a visit to talk about the opening salvo of upcoming sandbox adjustments being planned for Halo 5 in the near future. We know we could just dump all these obviously-completely-done-and-just-sitting-there tuning details all at one time, but we wouldn't want to deprive the world of any politely-postulated forum posts, would we? If you're excited to read up on the next set of weapons getting some friendly tune-ups, our man ske7ch has got you covered... take it away, Brian! Halo 5 will receive a Weapon Tuning Update later this Fall that includes adjustments to fourteen weapons and one power-up. As part of this process, players will get a chance to help play and test these changes in the wild to provide data and feedback to the 343 Sandbox Team. Timing and logistic details are still being finalized – stay tuned for more. We will be sharing high level context around the weapons included in the Tuning Update in the weeks leading up to the public test. Note that we will not be sharing the exact specific details for what is being adjusted on each weapon – this is intentional to protect the integrity of the test data (and some of those finer details may change as work continues). When the test has concluded, the final re-tuned weapons will be rolled out across the entire game (Campaign, WZ, and MP). Ok, now that you have all that important foundational knowledge, it’s time to dig into the next batch of weapons. 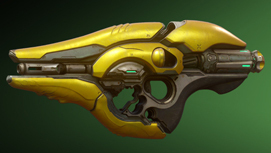 If you missed it, last week we touched on Active Camo, the Energy Sword, and the Beam Rifle. Today we’re going to briefly touch on a few power weapons that will receive some tuning adjustments. The Fuel Rod Cannon fills the role of an explosive projectile power weapon with a high rate of fire. The projectiles’ blast radius, coupled with the high rate of fire, has yielded some problematic results in the heat of battle, so the tuning update aims to address that. 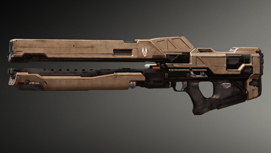 The intended role of the Rail Gun is a “sniper” style of weapon that can be charged up to kill an opponent from mid to long range in a single shot. 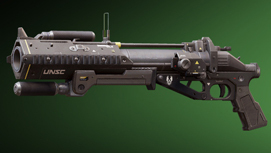 Currently in Halo 5, the Rail Gun has excelled outside its intended role by being overly effective at close range, and as a snapshot weapon – instead of being a carefully planned, charging Sniper weapon. The tuning adjustments to the Rail Gun are designed to make the weapon require a bit more deliberate, planned usage in battle. We have nine more sandbox items to dig into and discuss so stay tuned – there’s plenty more to come in the weeks ahead. In the meantime, if you have questions or thoughts to share, please join the discussion over in the Waypoint forums. 7hanks, ske7ch! I’m sure folks are beyond eager to learn more in the coming weeks – stay tuned! One of Halo’s most beloved and unsung settings has been a magnificent and enormous Forerunner installation catalogued as Shield World 006 – or as many others know it, Onyx. First encountered in the novel Halo: Ghosts of Onyx, the enigmatic Dyson sphere has played host to epic adventures in several stories, including the Kilo-5 trilogy and a short story by Matt Forbeck in the Halo: Fractures anthology. In fact, that short story actually sets up the shield world’s next chapter, Halo: Legacy of Onyx. This Forbeck-penned full-length novel features an awesome new cast of characters – with a few returning old favorites – a reality that you can see displayed right on the gorgeous cover by Benjamin Carre. 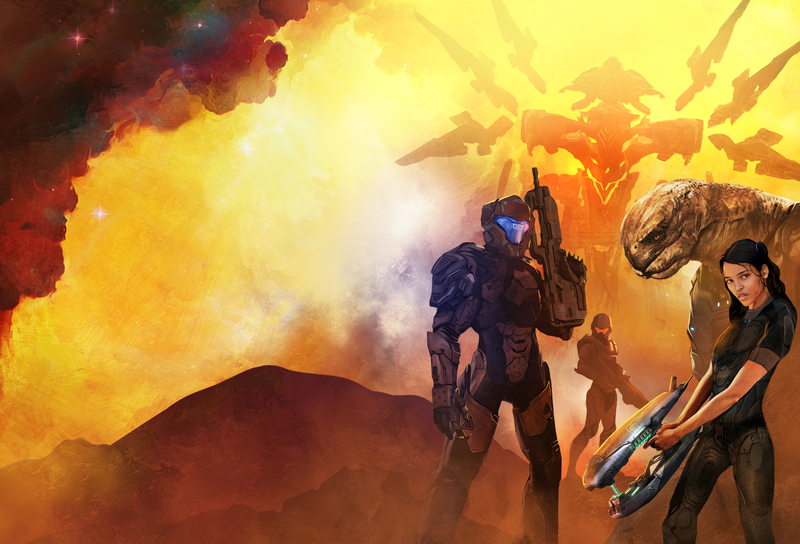 Speaking of books, the release of Halo: Retribution by Troy Denning is nigh upon us! 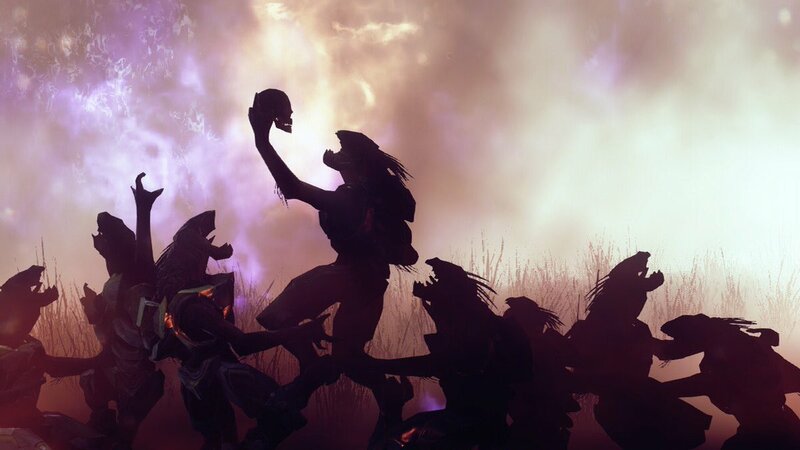 To help hype folks up for the latest lore load, Troy himself actually posted a sneaky little excerpt of the book to whet the appetites of Halo fiction fiends. You can find it below, and you can order a copy of the book yourself – slated for official release Aug 29 – right HERE. As many of you will recall, back in July we loosened our matchmaking parameters a bit, expanding from roughly one tier (e.g. Gold to Silver) to two tiers for some lists, and four tiers for others. We did this to help alleviate an issue affecting players with a skill so high that they couldn’t find matches at all. Expand to only 1 tier separation (roughly since this is MMR-based). Treat mid-Onyx and up as the same for matchmaking purposes. For 99.9% of players matchmaking will be much tighter than it has been. The exception is, for example, a 2100 Onyx team will look the same as an 1800 Onyx team in the matchmaker, which should allow those two groups to now match instantly if available. We’ll be continuing to monitor this effect, and we’re also working on a solution to have higher-Onyx players try for high-Onyx before dipping down, though in reality, this only affects approximately only the top 0.1% or so of players. The changes began rolling out yesterday, so jump in, try it out, and let us know what you think! Filed under the “Of Interest to Large Squads” department, we’ve got some pretty noteworthy news bits for fans of Halo 5’s Warzone mode. To get info straight from the source let’s hear from our favorite Ottawa Senators fan – 343 Lead Multiplayer Designer Lawrence Metten – who has some details on a particularly interesting experiment heading to the mode very soon. Take it away, Lawrence! 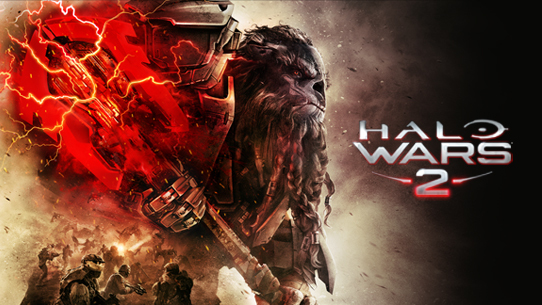 “Over time, the Warzone battlefield has changed as players have become more and more skilled at the game mode. However, not all of these changes have benefited all parties – since launch, we’ve slowly seen the Warzone “blowout rate” (how often matches end in lopsided or blowout scores) continue to rise. The Warzone team is experimenting with some significant changes to the way REQ Leveling works to facilitate more balanced Warzone matches. “These changes adjust the REQ Level awarded for match actions and add a REQ Level “drip” that slowly increases everyone’s REQ Level over the course of each match. In our internal playtesting, these changes have resulted in more back-and-forth Warzone matches with considerably fewer players stuck at low REQ Levels over the course of each game. Thanks, Mr. Metten! These changes to Warzone are currently targeted for implementation late next week, so stay tuned for more specific info as we approach that timeframe. Keen-eyed Halo collectors have noticed information rolling out for the next Halo Legendary Crate. Nicknamed “Flood Warning,” the crate will center largely around everyone’s favorite galaxy-threatening parasite. Punctuating the crate from a visual standpoint is this awesome key art that features an epic yet-unrevealed Banished general taking on a localized Flood threat. Supplies are limited, so make sure you order by Oct 15 to secure yours. We’ve had a few new additions to the HCS news lineup over the past few days – if you haven’t seen it yet, let’s catch up on what you might have missed. The pillars of Autumn – Late last week, we put out some updated information regarding the HCS Pro League Fall 2017 season, including new details about the Fall Finals at DreamHack Denver. Check out the full scoop HERE. Full house – HCS London by Gfinity team passes have sold out! The blistering brawl across the pond gets underway Sept 15-17 at the swank new Gfinity Arena, and you can catch all the action online at mixer.com/Halo and twitch.tv/Halo. Circuit Breakers – Speaking of the Fall 2017 season, we also just released brand new and updated information on the HCS Open Circuit for the upcoming season. Check out all the details HERE. What other deets are worth blippin’ about? Let’s hit the motion tracker and find out. Double-Down Days – This weekend (beginning tomorrow), we’ll have three playlists in Halo 5 once again bountifully bestowing extra experience for players looking to grind. This weekend’s DXP offering includes the Infection, HCS, and Mythic Warzone Firefight playlists – jump in and earn more! Life’s a beach, then you respawn – We’ve mentioned it before, but there’s an awesome grassroots Halo event taking place right now back in my old stomping grounds in the Tampa Bay area (the best Bay Area): Beach LAN 6. If you’re unfamiliar, the Beach LAN is an annual week-long Halo CE LAN that features some pretty talented Halo players simultaneously vying for glory and having a comradery-filled blast. This year’s event, as one might expect from the name, is the 6th annual LAN event, and is taking place just outside Tampa, FL in the cozy confines of a couple of beach houses. Now, if you’re just reading about this now, odds are you aren’t able to attend, however that doesn’t stop you from tuning in to check out the action yourself via their Twitch stream at twitch.tv/BeachLAN. Give it a watch and support an awesome community event! Back-Compat – It’s still a thing! No new news to report from the Xbox BC team, but making sure everyone knows it's still progressing. Model Citizens – Been looking for an awesome UNSC Pelican model to put together and display? Our friends at Revell have got you covered… check it out! Until next time… Live well, play Halo, and don’t forget about the solar eclipse! Happy Thursday, folks and welcome to another installment of the Halo Community Update! This week we’ve got three different patches to discuss along with another epic HaloWC weekend, exciting developments for Halo 5 multiplayer, a new team spotlight, and more!